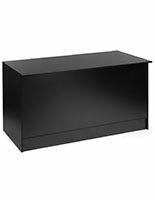 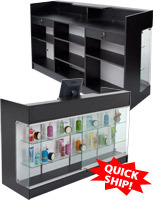 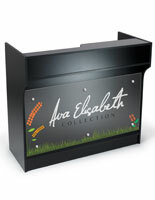 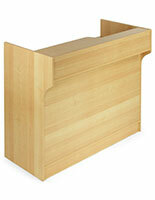 This 48-inch wide retail sales counter is great for creating an organized point of sale area. 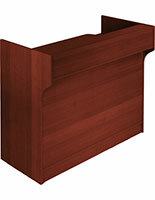 Made of melamine, the 42" tall checkout stand is 4 inches taller than standard countertops and is an inexpensive and stylish alternative to solid wood construction. 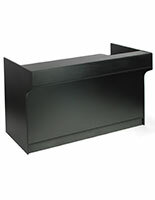 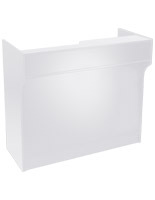 Each wide retail sales counter includes a pullout drawer that can be used for storing supplies, pens, and paperwork. 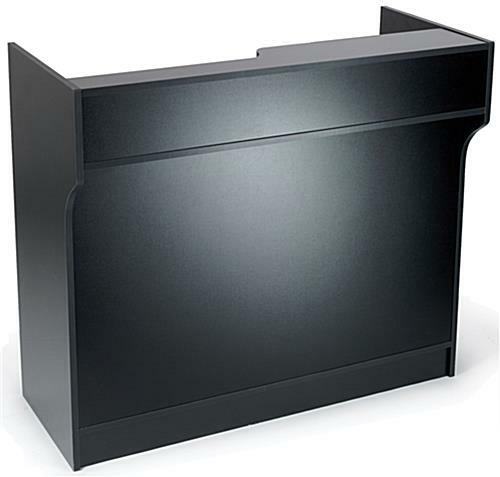 The cash wrap has a recessed well for holding a register, monitor or tablet and also features a convenient 8" wide check writing shelf for customers. 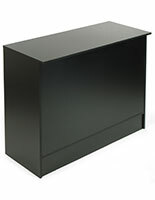 Underneath the wide retail sales counter's surface area are adjustable height shelves for storing returned items or "on hold" merchandise, and a pull-out drawer. 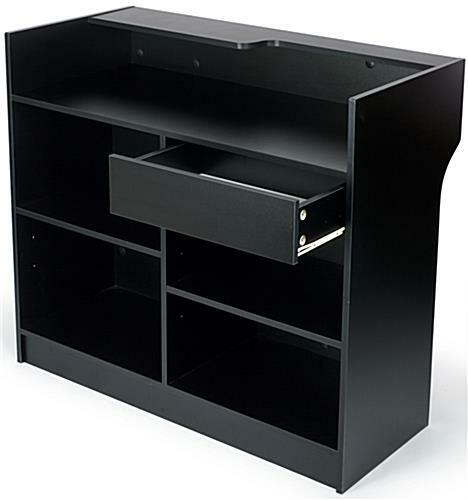 The stand also features two adjustable shelves for additional space.